10.30am Cruiser Racing (organised by TCYC) Racing for the ‘Cumbley Cup’. Notice of race and sailing instructions are on the TCYC website. Please contact Steve Pococks for further details 07778 707876. 11.15 am Beach Lifesaving Display Offshore from the front beach by the pier, our local Lifesavers start the day off with a demonstration of life saving techniques. 11.30 am Coastguard & R.N.L.I. Display Offshore from the front beach, by the pier – a superb spectator event showing the skill and courage of our rescue personnel, using Teignmouth’s own inshore lifeboat, the Torbay offshore lifeboat and the Coastguard Rescue Helicopter from Portland (subject to availability). 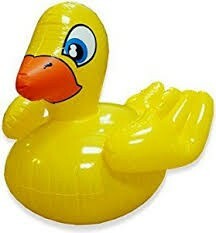 1.30pm registration for 2pm start Floaty McFloat Race Come along to our new event with your inflatable. Float as an individual or team down the river to the Morgan Giles wall. Steer your craft with just your arms and hands (no paddles). Spot prizes will be awarded. Entry is strictly limited to 6 years and over. All under 16’s must wear buoyancy aids and these can be supplied (by Sea Sports SW). Please wear appropriate clothing. All children under 14 must be with an adult. You Name It, 1 The Triangle are offering 10% discount for anyone buying new inflatables for this event. 3.00 pm Floating Target Football Try your football skills by kicking 3 balls into our floating target.Registration at the Sand Quay.Entry fees: Under 16’s – free; 16 & over £1 per entry. 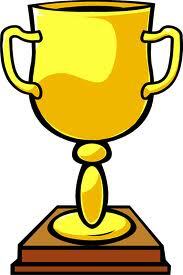 Current trophy holders should ensure that the trophies are returned (cleaned and polished!) to Lucy Pitts (telephone 07968 423016). This entry was posted in Uncategorized on August 6, 2017 by Regatta Admin. 11.00am Cruiser Racing (organised by TCYC) Three races (two short and one longer) Notice of race and sailing instructions are on the TCYC website. Please contact Steve Pococks for further details 07778 707876. This entry was posted in Uncategorized on August 5, 2017 by Regatta Admin. 2.00 pm Sports Cash prizes, or trophies for local winners.On The Den. Free entry, no registration required.Running Races 5 years and under (boys & girls) 6 & 7 years (boys & girls), 8 & 9 years (boys & girls), 10 & 11 years (boys & girls), 12 years and over (boys & girls).Sack Races 6 & 7 years (boys & girls), 8 & 9 years (boys & girls), 10 & 11 years (boys & girls), 12 years and over (boys & girls).Wheelbarrow Races* 8 & 9 years (mixed), 10 & 11 years (mixed), 12 years and over (mixed).Egg & Spoon Races 5 years and under (mixed), 6 & 7 years (boys & girls)Piggy Back Races* 8 & 9 years (mixed), 10 & 11 years (mixed), 12 years and over (mixed)*The Wheelbarrow and Piggy Back race competitors must be within the same age group.Mum’s Sprint – Trophy for local winner. Dad’s Sprint – Trophy for local winner. Local Boys 12-16 years – Trophy for winner. Local Girls 12-16 years – Trophy for winner.Adult Egg & Spoon Race. Adult Three Legged Race.Various races for 5’s and under.Please note: All “Fun Sports” events are subject to change and this running order could change on the day. 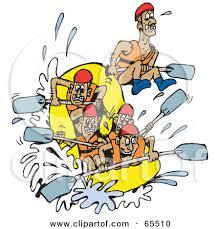 6.30 pm assemble7.00 pm start Raft Race Places are allocated on a first come first served basis and can only be booked in advance from Sat 29th July by calling/texting Will Burton on ***** . Teams of 4 are invited to put on fancy dress (optional) and to build a raft using provided materials only, and then race the raft around our course within the river.Entry is strictly limited to 16 teams of 4, one member of which must be a lady or under 16. All materials, paddles and buoyancy aids are supplied (buoyancy aids supplied by Sea Sports South West). There will be a number of heats followed by a grand final.Prizes are awarded for the biggest ‘You’ve been framed moment’ and best fancy dress. The overall and fastest winners will be awarded with the Raft Race Regatta Trophy.Cash prizes: 1st place £20, 2nd place £15, 3rd place £10.Register your team at the Ship Inn. Entry fee: £10 per team.Presentations are at the Ship Inn (with music) following the racing. 6.30pm (1st Start) Cruiser Racing (organised by TCYC) Racing Pursuit and Pizza. A pursuit race followed by pizza in the clubhouse. Notice of race and sailing instructions are on the TCYC website. Please contact Steve Pococks for further details 07778 707876. This entry was posted in Uncategorized on August 4, 2017 by Regatta Admin. This entry was posted in Uncategorized on August 3, 2017 by Regatta Admin. This entry was posted in Uncategorized on August 2, 2017 by Regatta Admin. Unfortunately Wednesday’s novice rowing race has been cancelled due to the weather forecast. This entry was posted in Uncategorized on August 1, 2017 by Regatta Admin. 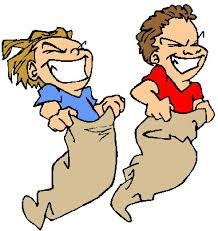 Due to the weather forecast the sports has been postponed until Friday 4th August at 2pm. 10.00 am All Day Fete On the den. 10.00 am Sandcastles Traditional castles and sand sculptures allowed. Plastic spades only. Prizes for: 1st, 2ndand 3rd place in each age group. On the front beach near the Pier. Free entry.Age categories: 0-5 years; 6-8 years; 9-11 years;12-16 years.Teams must work to the oldest entrant’s age category. 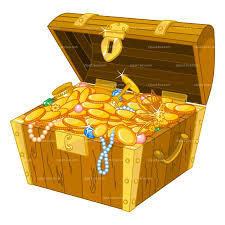 Follows straight on from Sandcastles Children’s Treasure Hunt Plastic spades only. There will be two separate areas for digging. Dig in the sand to find prize tickets to exchange for prizes. One “star prize” awarded per age category.On the front beach close to the Sandcastle Competition – Free entry.Age categories: 0-5 years; 6 years and over. 2.00 pm Pavement Artist Children are invited to draw a picture using provided chalk onto a paving slab. Prizes for: 1st, 2nd and 3rd place in each age group.To qualify for entry all competitors must work alone.On the Promenade near the Beachcomber – Free entry.Age categories: 0-5 years; 6-8 years; 9-11 years; 12-16 years. 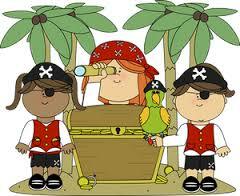 6.00 pm registration 6.30 pm start Family Treasure Hunt Team event (maximum of 4 adults). Clues are provided to follow a trail around the town and river beach areas on foot.Cash prizes: 1st place £20; 2nd place £10; 3rd place £5.Registration of teams at the Ship Inn. Entry fee: £5 per team. Maximum of 30 teams on a first come, first served basis.Staggered start (late entries are eligible up to 7.30pm).Prize giving at approximately 9.00pm outside the Ship Inn. Children’s Pavement Artist – WOW, what a response we’ve had to this event. Great to have so many of you coming. 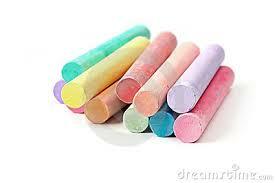 We only have limited chalk supplies, so if anyone could bring their own it would be appreciated. Please share with any friends coming along. Thank you. This entry was posted in Uncategorized on July 31, 2017 by Regatta Admin. 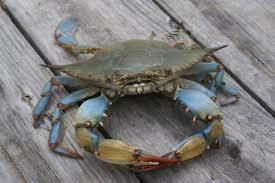 12.00 pm Crab Catching Cash prizes for the most and heaviest crabs caught (various categories). Supply your own crab line and bait (these can be purchased from the volunteers on the day). At the Fish & Sand Quays near the New Quay Inn. Free entry. Age groups: 6 and under; over 6’s.Crab lines only to be used – one crab line only per competitor (or team/pair), one small bait bag only per line and no landing or drop nets allowed. Children under 6 permitted to have adult help. Follows on from Crab Catching Crab Racing Crab Race – fastest crab from those caught. All crabs to be returned to the water alive! 6.30 pm doors open7.00 pm start Quiz Night Pre-register your team for this popular event now by texting Kathy on 07977 057122.Come and test your general knowledge at Teignmouth Rugby Club. Teams of up to 6. Entry fee: £10 per team. Maximum of 15 teams on a first come, first served basis. Cash prizes for 1st, 2nd and 3rd place.